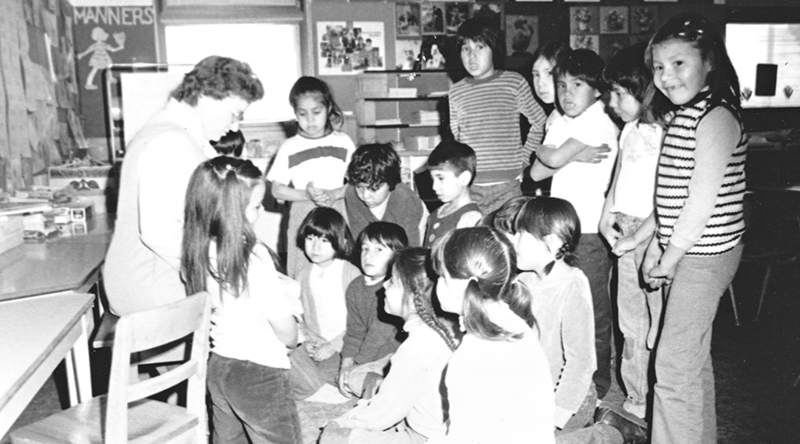 Sister Barbara Kowalski taught Grade 1 in Frog Lake Public Indian Day School on the Frog Lake reserve, located in eastern Alberta. She lived in a trailer on the reserve during the school year. The mission closed in December 1983.